Glenroy College has a clear goal of improving students’ numeracy skills. All students from Years 7 to 10 are required to do the Number OnDemand Testing at the beginning and end of the year. Results at the beginning of the year are used for planning and testing at the end of the year measures improvement. NAPLAN data is also used in teaching across Years 7 to 9. Teachers use data to identify student gaps and plan around these. A Numeracy Program has been set up for Years 7s and Year 8s. Once a week all Year 7s and 8s are time tabled into our Numeracy Room. 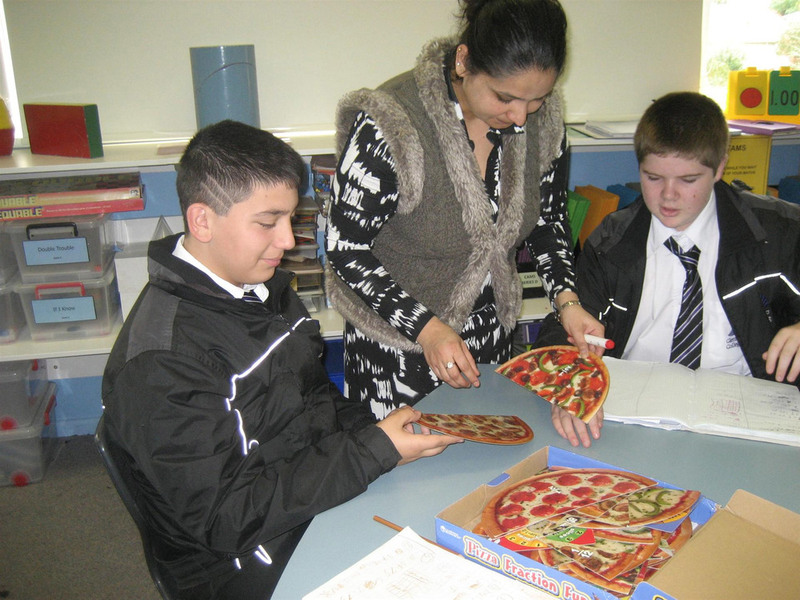 Year 7s are involved in the Scaffolding Numeracy in the Middle Years project and do the Multiplicative Thinking tasks which involves hands on activities. Year 8s are involved in CAMS and STAMS which focuses on literacy. Students are identified and work at appropriate levels. Numeracy aides support students at risk twice a week. The College Numeracy Plan incorporates the need for differentiated teaching and learning within the classroom and identifies strategies to improve numeracy skills for all students. At Year 7 – 9, students are continually exposed to NAPLAN questions and are addressed correlating to the topics taught.